It’s Autumn in Kentucky and that means one thing – you must plan a trip to the Land Between the Lakes right away! The changing leaves put on a show unlike any other in the LBL. Take a look at the picture above. We took that last year at Cedar Pond (a gorgeous little rest area along the scenic drive through the LBL), just as the leaves were beginning to turn. The LBL would love for you to come enjoy their beautiful sights and sounds this autumn. 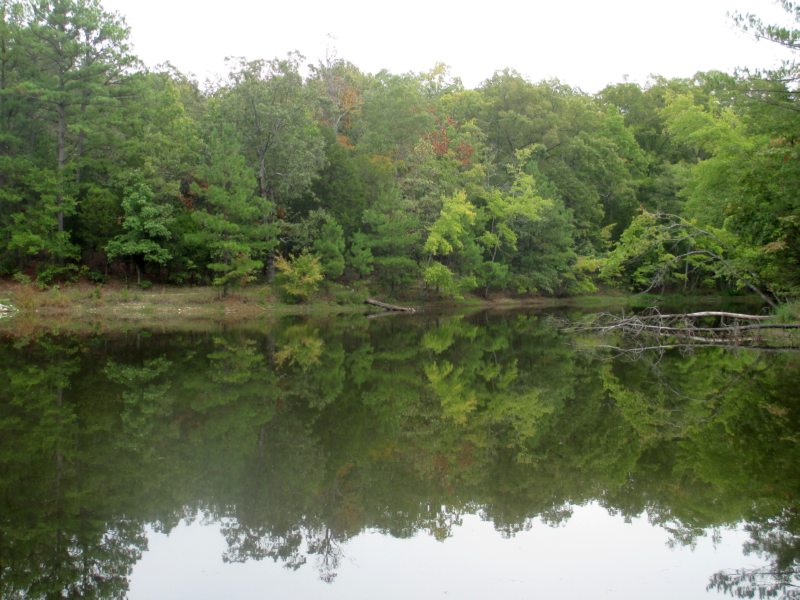 Land Between The Lakes (LBL) National Recreation Area re-opens Friday, October 18th at 12 Noon. All attractions, campgrounds, camping areas, and recreation opportunities will be open for business as usual. At this time, LBL Campground Reservations can only be made online by logging onto www.lbl.org and clicking the reservation link. Information on camping reservation refunds will be available next week. LBL’s Tennessee Youth Quota Deer Hunt will take place as scheduled October 19th and 20th. Enjoy the beautiful fall colors by taking a drive throughout Land Between The Lakes, including the Elk & Bison Prairie, which is currently accessible with cash or entry cards only. Trail opportunities abound, so grab your off-highway vehicle, bike, or horse and explore the many LBL trails. Camping, fishing, hunting, hiking, wildlife viewing, and other activities are available. The Golden Pond Planetarium offers a variety of planetarium and laser light music shows. Some events scheduled for October 19th and 20th at The Homeplace and Nature Station, had to be canceled. Please refer to the Calendar of Events on www.lbl.org for information on new programs at those attractions for this weekend. Celebrate autumn with a memorable drive through Land Between The Lakes (LBL) National Recreation Area. This gorgeous National Forest is beautiful, year-round, but it really goes all out in fall. Visitors interested in viewing fall colors can drive the public access roads that wind through LBL. People can also hike, bike, ride on horseback, or ride ATVs on hundreds of miles of designated trails. Temperature, light, and water supply triggers the natural process of leaves turning from green to a variety of colors. This also influences the degree and duration of fall color. The timing of the color changes also depends on species. Blackgums and sumacs usually turn first. Tulip poplars, sweetgums, sassafras, and maples follow soon after. Oak leaves turn last, long after other species have already shed their leaves. Land Between The Lakes has more than 151,000 acres of forest, primarily hardwood species. Certain colors are characteristic of particular species. Blackgums, sumacs, and Virginia creepers turn bright shades of red; sassafras turns a brilliant orange; tulip poplars and hickories turn shades of yellow. Oaks turn red, brown, or russet. Maples and sweetgums display the most vibrant colors of fiery reds, yellows, and oranges. For detailed information on the progress of autumn color displays across the country, visit USDA Forest Service Fall Colors website at http://www.fs.fed.us/fallcolors/2013/.